The Marware FlipVue iPhone 5 case flips downward and features a slot to store your credit card. The FlipVue iPhone 5 case flips the competition on its head. 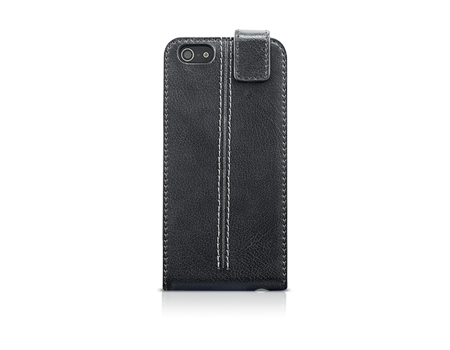 Unlike most leather iPhone cases, the FlipVue opens downward for added convenience when talking on your iPhone. The interior front lid features a slot for storing a credit card or business cards. The soft microfiber interior protects the screen of your device from scratches and scuffs while inside. It’s more than a case.